When was the last time you had a good night’s sleep? If you’re a sleep apnea sufferer, then you know more than most people what it’s like to struggle for sleep at night. That struggle is the foundation of your problems, as sleep apnea quickly affects other aspects of your life. Days when you feel groggy become days where you’re irritable and unable to function. If you suffer from the effects of sleep apnea, there is no better time than now to turn your life around and work to gain control over your condition. Although your dental care provider can provide treatments for sleep apnea, these treatments are designed to manage the symptoms. Unlike many diseases where the onus is 100% on the doctor to make you well, sleep apnea is a disorder that most often occurs because of a person’s lifestyle. Therefore, much of the responsibility of conquering this disruptive disorder falls on the patient. Whichever path you take towards a fit lifestyle, embracing fitness is the most reliable way to get rid of the devastating effects of sleep apnea. For some adults, curtailing their alcohol or tobacco use may be a difficult transition. But that’s exactly what has to happen if you plan on loosening the grasp that sleep apnea has on your life. The reality is that alcohol and tobacco both aggravate your sleep apnea symptoms in their own ways. Many adults enjoy a drink or a smoke, but if you’re serious about fighting your sleep apnea, then your best bet is to give up on these pleasures altogether. Once you’ve committed to minimizing your bad habits and choosing an exercise plan that you’ll stick to, then there is still the issue of dealing with the everyday effects of your sleep apnea. That’s where the treatments prescribed by your doctor or dental provider come into play. From CPAP masks to oral appliances, there are treatments currently available that can manage your sleep apnea symptoms in the short term, allowing you to take the long-term steps that will eliminate the disorder forever. 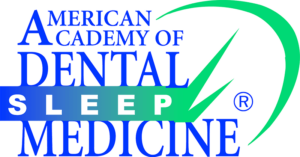 Do Not Underestimate Your Sleep Apnea – Seek Treatment Today! While the beginning signs of sleep apnea include loud snoring and trouble with sleep, we know that it can lead to far worse problems if left untreated. At Alpine Dental, we want to ease the symptoms of your sleep apnea now, while enabling you to find a final solution for the problem over time. By making a plan for fitness, avoiding alcohol and tobacco, and seeking treatment at Alpine Dental, you can take charge of your condition before it gets worse. Contact us and see how we can combat your sleep apnea.